Today’s interview is with Tony Denney at Southeast Concrete Systems. Southeast Concrete Systems specializes in commercial concrete including foundations, slabs, decks, and tilt wall construction. 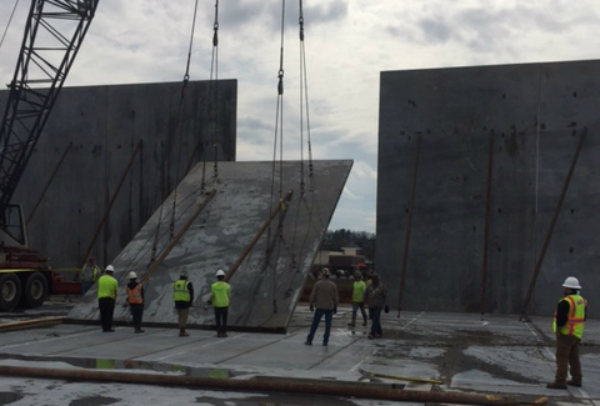 Their turn-key concrete projects range from smaller 20,000 sf additions to new 250,000+ sf tilt wall projects in various sectors of commercial, retail and industrials sectors of the market throughout the Southeastern US. Raken: What's unique about your project?Denney: The project I'm working on presently is called Main Event in Knoxville, Tn. It's unique because it's a tilt wall building. Raken: What's your responsibility at your jobsite?Denney: My responsibilities are as Superintendent. Raken: What do you like most about being in construction? Denney: What I like most about construction is bringing buildings out of the ground and then coming back to see the final product. Raken: What do you like about using Raken? Denney: I love the Raken app because it's simple to use and saves me an hour or two per day. Interested in what a daily report looks like? View this example report. You work hard on your projects, and we like to showcase them! If you're interested in having your project featured on our social media and blog, please reach out to us at hello@rakenapp.com for more details! Download our construction project management app today.